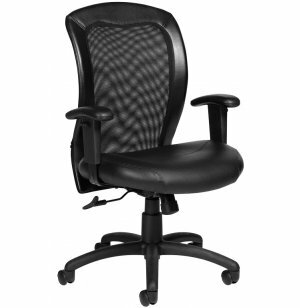 Add style and comfort to your office with these executive chairs from Offices to Go. 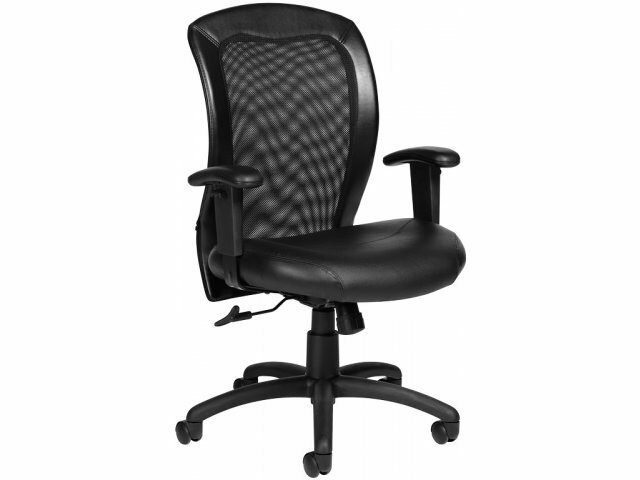 These Adjustable Mesh Back Executive Chairs feature mesh backs and perforated seats to let your body breathe throughout the long work day. 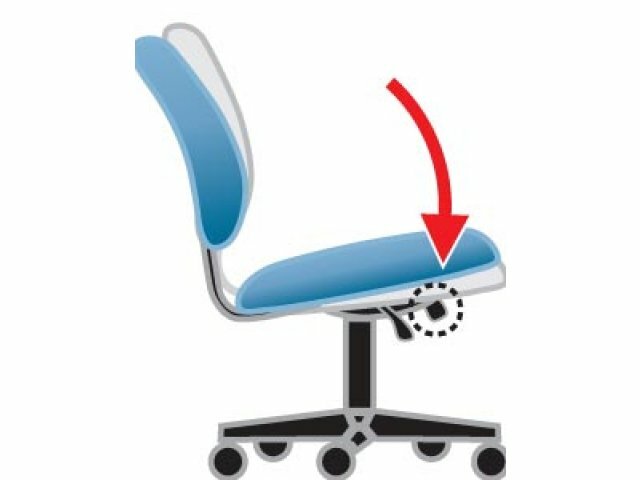 Mock leather surround and Luxhide seat give the look of real leather without the heavy price tag. 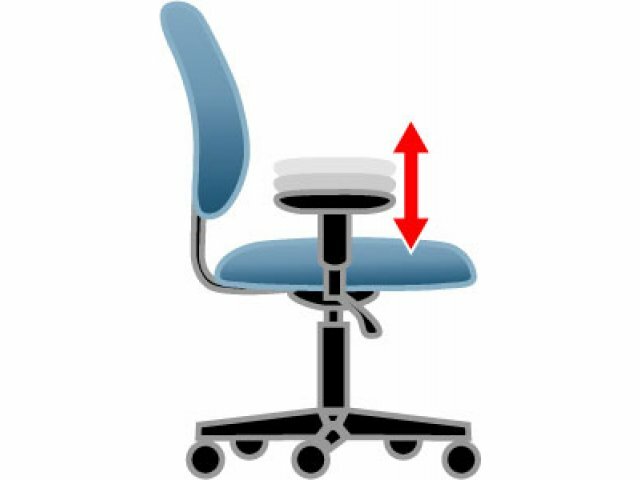 Height adjustable arms and seat, tilt-tension control and adjustable seat depth provide ergonomic comfort you can customize to your unique needs. 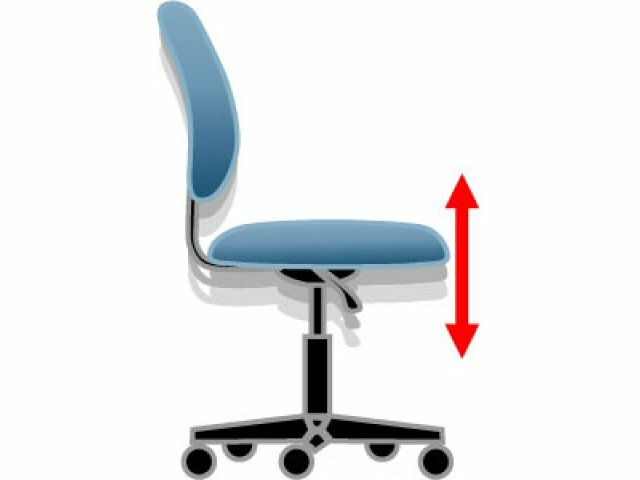 Arched molded base is scuff-resistant for long-term use, and four twin-wheel carpet casters let you roll these chairs easily and comfortably across any floor surface. 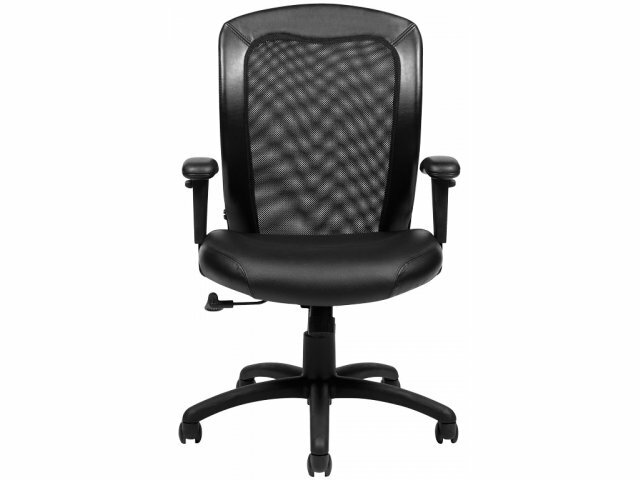 Breathable: Black mesh fabric on back and perforated Luxhide seat provide your skin with air flow that lets you sit comfortably for hours. 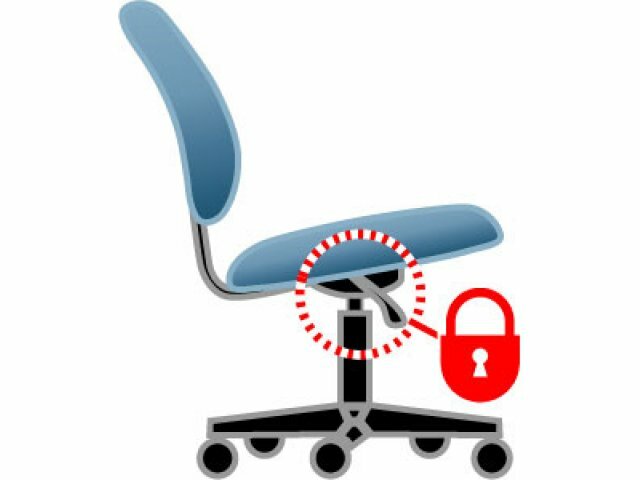 Classic Design: Combination of classic executive chair design and attractive black leather appearance give this chair a highly-professional look. 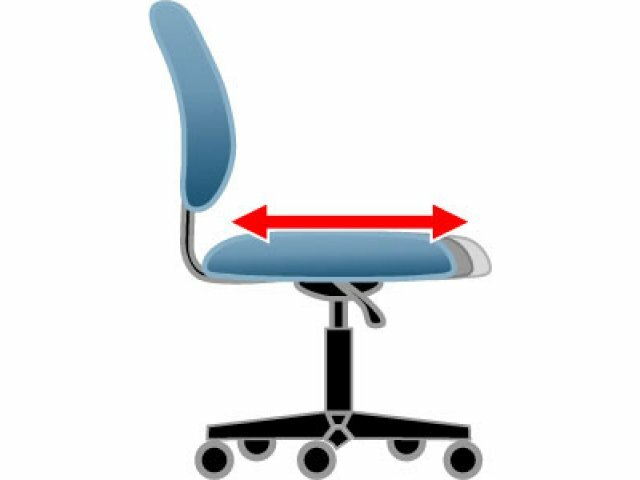 Highly Adjustable: Tilt chair control and height-adjustable seat and arms, together with adjustable seat depth let you customize the position of this chair to meet your specific needs. Smooth Mobility: Four twin-wheel carpet casters allow for smooth rolling motion on any floor surface. 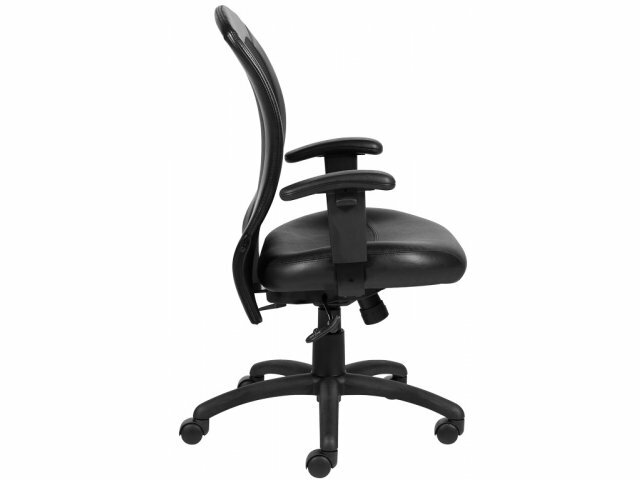 Special Fabrics: Order this chair in other fabric colors at a 2-3 week lead time.